Last month, Bangladesh inked a deal with India to set up a coal-based thermal power plant in Bangladesh’s Bagerhat district. Spread over 800 hectares, the 1,320 MW plant will be set up in Rampal upazila—4 km from the declared ecologically critical portion of the Sundarbans. This has agitated environmentalists who are demanding relocation of the plant. Being the world’s largest mangrove forest, the Sundarbans are rich in biodiversity. Bangladesh has declared three dolphin sanctuaries within the Sundarbans. “One of them is very close to the proposed plant,” says wildlife expert Ronald Halder in Dhaka. Effluent from the plant and coal transportation will severely impact the sanctuaries, adds Halder. The project has worried the Ramsar Convention secretariat, too. The Sundarbans are registered with the Convention, an international treaty for conservation of wetlands. Last June when the project was in its proposal stage, the Convention secretariat wrote a letter to the Bangladesh Ministry of Environment and Forests. 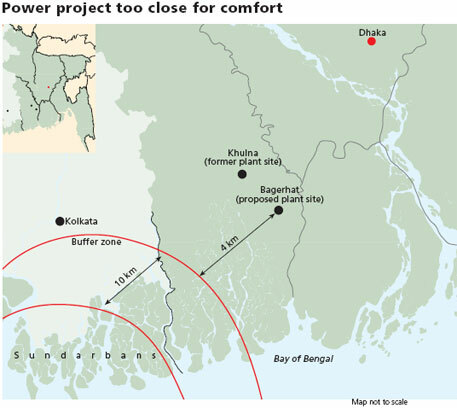 It said the joint venture between the Power Development Board of Bangladesh and India’s National Thermal Power Corporation (NTPC) could be a possible threat to the Sundarbans. But the Convention secretariat is not sure of the project’s impact since its environmental impact assessment (EIA) is yet to be made public. Lew Young, senior regional advisor for Asia/Oceania at the Ramsar Convention secretariat in Switzerland, says, “Since we have no information on the exact location of the power plant, it is difficult to give a position on how close it is to the Sundarbans and what impact it will have.” The Convention has clear guidelines on how governments should ensure wise use of Ramsar sites. The government can request the Convention secretariat to form a team of experts to visit a project site and recommend ways of minimising adverse impact, adds Young. The department of environment in Dhaka says the project proponents have submitted the EIA report. “It is being reviewed,” says an official. The department will soon hold a meeting to discuss the project and suggest recommendations. The EIA report has also been sent to the department of forests for its opinion. The Sundarbans in Bangladesh are a protected area and fall under the jurisdiction of the forest department, while a 10 km buffer zone around the forests, which is an ecologically critical area, is the responsibility of the environment department. The project site is 4 km from the buffer zone. Surprisingly, IEE does not say anything on the Sundarbans. The report recognises that the project site is located in a tidal delta and is largely rural. It states the area is characterised by scattered mangroves and is exposed to extreme cyclones. The land owners in the area whose land will be acquired are not supporting the project, the report points out. But it is quick to mention that proper resettlement plan, adequate compensation and employment opportunity will make them “cooperative”. According to the IEE report, a potential impact of the project will be loss of agricultural and homestead land and air pollution. It vaguely mentions that disturbance to the dolphin colony might be reduced by avoiding their surfacing time, but does not mention the location of the colony. It states temperature differential, arising out of cooling water discharge, as a threat to marine biodiversity. “The project will be a setback for the fishermen of Bagerhat as it has many fishing grounds,” says Halder. Infrastructural, economic and regional development are the plus points of the plant, as per the IEE report. Despite repeated emails, NTPC did not respond. 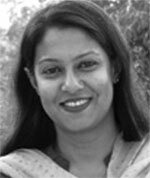 Halder says Bangladesh is in a crisis situation because of power shortage. The country’s unmet electricity demand in 2011 was 1,200 MW, with only half the population getting power. To address the shortage, the Asian Development Bank has extended a loan of US $300 million. “The government can move away from coal-based power if it wants. 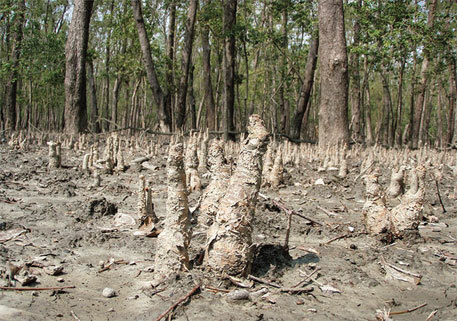 If still adamant, it needs to reconsider the plan to build a plant near the Sundarbans. Even with the crisis, the bargain is not worth it,” he adds. A shocking article. This just leaves me wondering with the fact that, why on earth all the researchers are sloging down right so much, when our authorities are such naive decision makers??? In the background of such buzz of climate change, where Civil societies, individuals, nations together are trying hard to find solutions to a global problem like this, how can we even think of any proposal like this??? The world is trying hard to save bangladesh from the catastrophic impacts of climate change, despite this, how far this can be justified??? For an unltra sensitive project like this, do we even have to do the EIA? Is it not cristal clear , that having a powerplant in a world reserved site is bound to damage the ecosystem? The entire process of environmental clearance will be a big mystery in itself, if it happens to clear a dragon like this, which is inevitably going to kill the precious ecosystem of Sunderbans...!! I was so shocked when I heard the news. Well, it is tough for me to absorb such bad news, which are worse. "Real human donot do like this"- being a best creature of all creatures, ALLAH had send us to the world for purpose. So, my opinion, towards this, will be " We should not seat quietly, we must protest it, if we are human. I really love my 'MOTHERLAND- BANGLADESH' ". SO DO SOMETHING, PLEASE DO.